Father's Day is about a week away, which means if you haven't already, it's time to start thinking of the best gifts! 1. 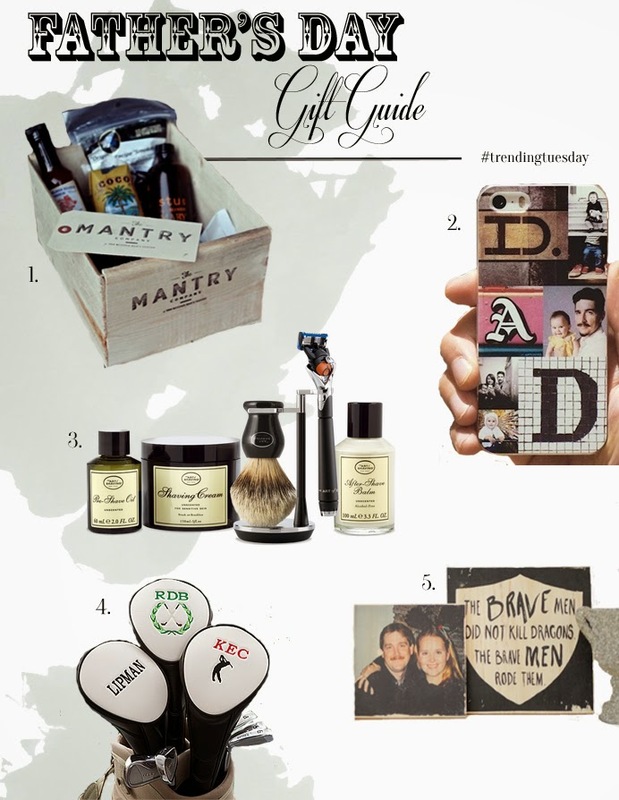 The Mantry - For the foodie Dad, this is the perfect gift! Each Mantry is packed full of 6 artisan food products delivered to his door. Packed in a Handmade Wooden Crate along with recipe cards for the how to! This is one of my favorite gifts to give, and it comes packed with originality! 2. Casetify - Which is formerly Casetagram - Is one of the best gifts to give or receive, I am obsessed with mine and I know my Pop would be too! It is a great way to show him you love him with some of your favorite memories! 3. The Art of Shaving - For the bearded, outdoorsy Dad - this is the way to go! The products work and smell amazing, but you can also do cuts! Wouldn't it be nice for your Dad to have a relaxing shave at a great place, and maybe send him home with some great goodies! 4. Personalized Golf Club Head Covers - For the Golfaholic - this is perfect and personal, so he looks great on and off the green! 5. The Perfect Handmade Father's Day Gift - Take a look for yourself but this is something that I might be trying! I love everything wooden a photographed, and I am sure the old man would too! What are you doing for your Father this year?